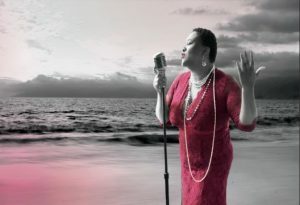 Popular local singer Alisa Mike serenades us with jazz standards from the Great American Songbook, as well as other classics through the years and ones in the making. Her dynamic vocal range, artistic phrasing and interaction with the audience make for a delightful evening! 7:00 PM Showtime – There is No Cover Charge – Artist Donations Encouraged Table reservations are recommended. 252.631.5122 City Stage is a Private Club. There is a $1.00 Annual Membership Fee.